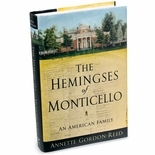 Whether you want to purchase this set for use as eye-catching coffee table books or need them for in-depth research on Jefferson and the history of slavery in Virginia, here is a great choice. 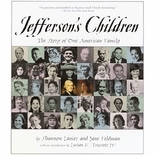 They are wonderful study books on approximately 619 slaves that were owned by Thomas Jefferson. These volumes are also intended for the casual browser who can look at the visual presentation of data and learn. The books were compiled to honor the enslaved individuals who had a unique role in the founding of our nation. Resource material is gathered together and printed primarily in color to provide a vivid picture of that era through the inclusion of many color and black and white photos, genealogy charts, chronological charts, census records, new and old maps, and original documents. Both browsing and research are made easier with a detailed encyclopedic index spanning 367 pages of volume 2. Author B. Bernetiae Reed was born in Greensboro, North Carolina. She graduated with a B.S. degree in Nursing from the University of Wisconsin and then worked as an obstetrics nurse for about 30 years. Various factors influenced an interest in her African American heritage with a focus on genealogy. She is a Robert H. Smith International Center for Jefferson Studies Fellow. Printed in the U.S.A. Hardbound, Volume 1 and Volume 2 combined have 1074 pages. Beautifully illustrated.